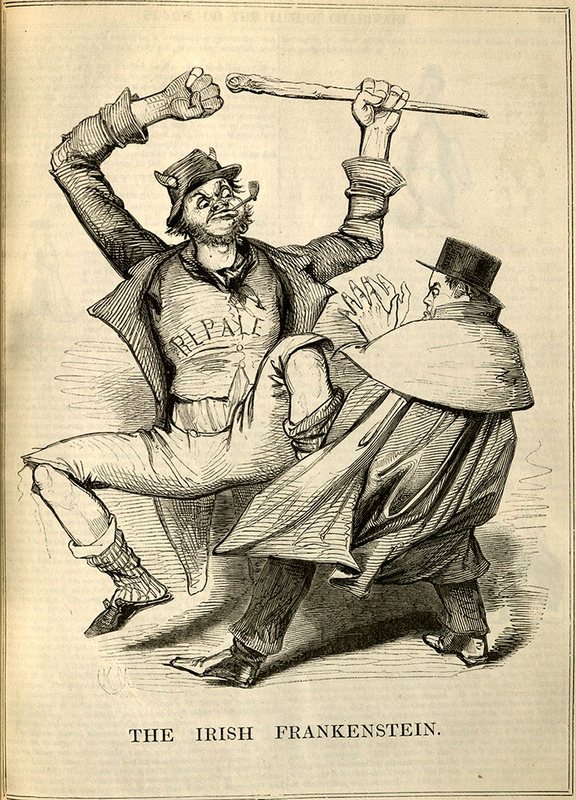 Punch, or the London Charivari was a British weekly magazine that specialized in humor and satire. 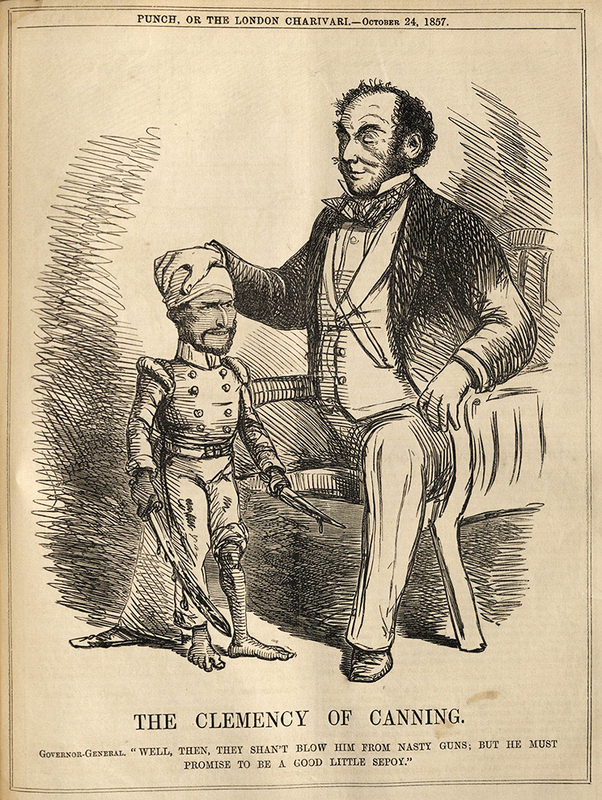 Starting publication in 1841, the magazine took its title from the hunchbacked and hook-nosed Punch puppet of Punch and Judy, ubiquitous figures in the UK and other parts of Europe for many decades. 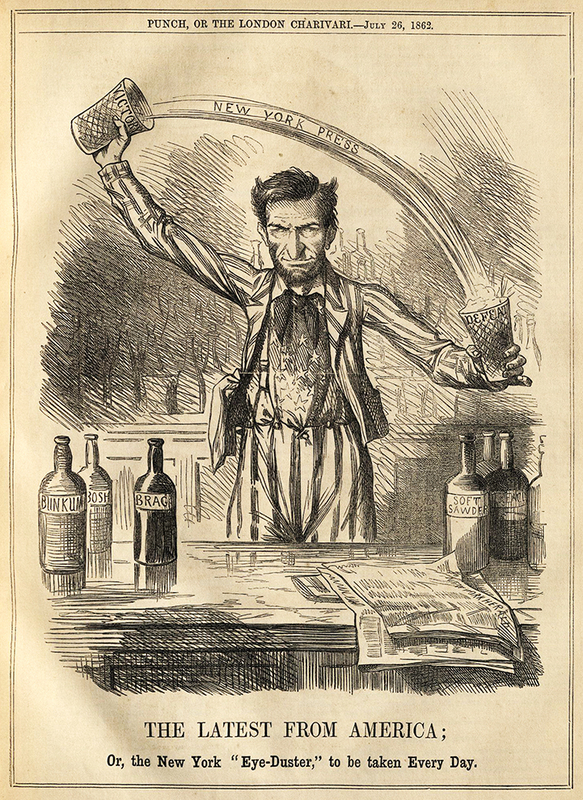 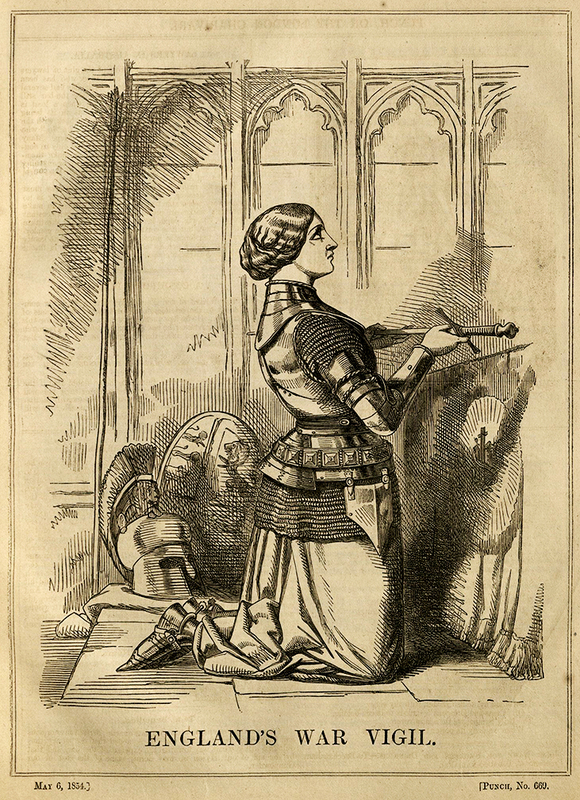 The magazine featured numerous political cartoons in each issue that often focused on political figures, social trends, domestic politics, and international events. 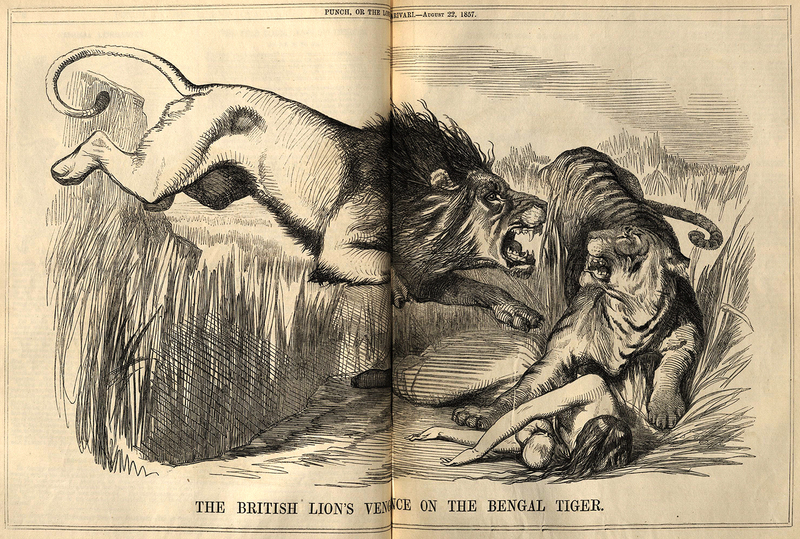 With British Imperialism at its zenith in the 19th century, the English lion and Indian tiger peppered the pages of Punch. 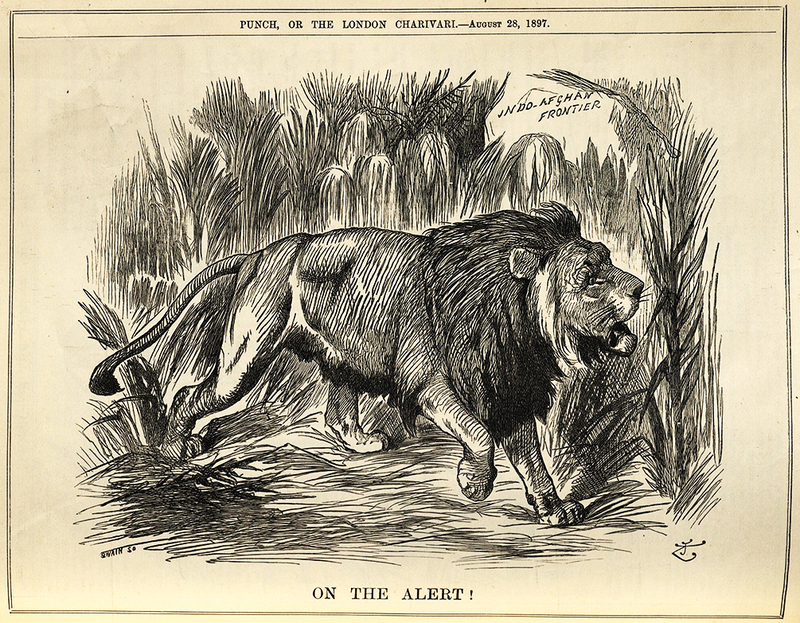 In particular, references to India's 1857 Sepoy Mutiny and Britain's response, as well as conflicts with Afghanistan, India's neighbor, appear frequently. 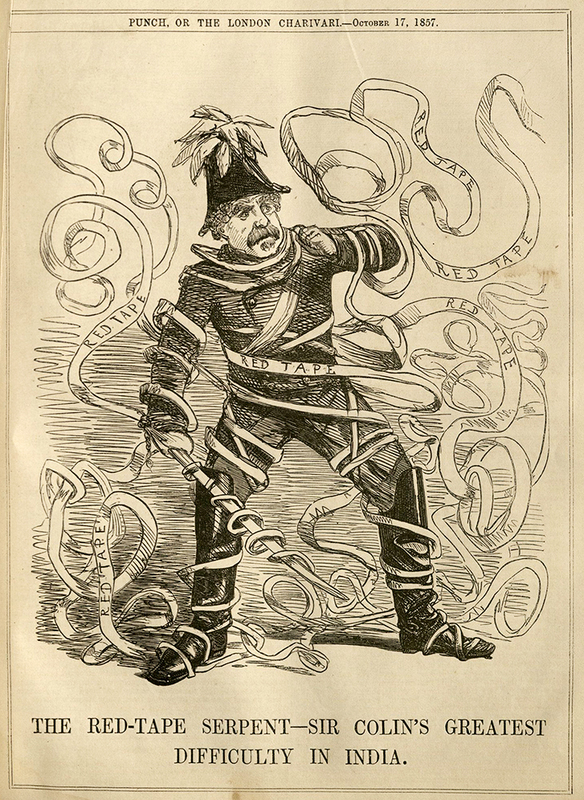 During the Crimean War, best known to most today for the famed Charge of the Light Brigade, Britain and her allies fought against Russia. 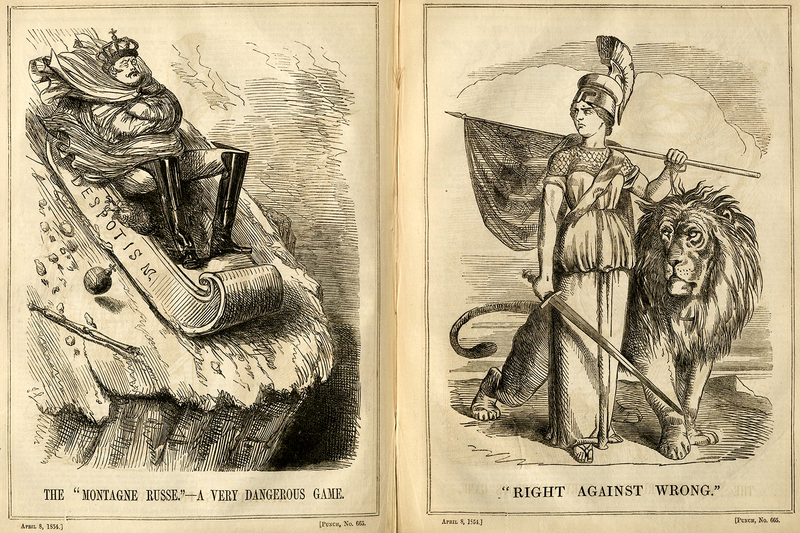 The pages of Punch often juxtaposed images of a pompous and despotic Russian Tsar with noble and righteous images of Britannia. 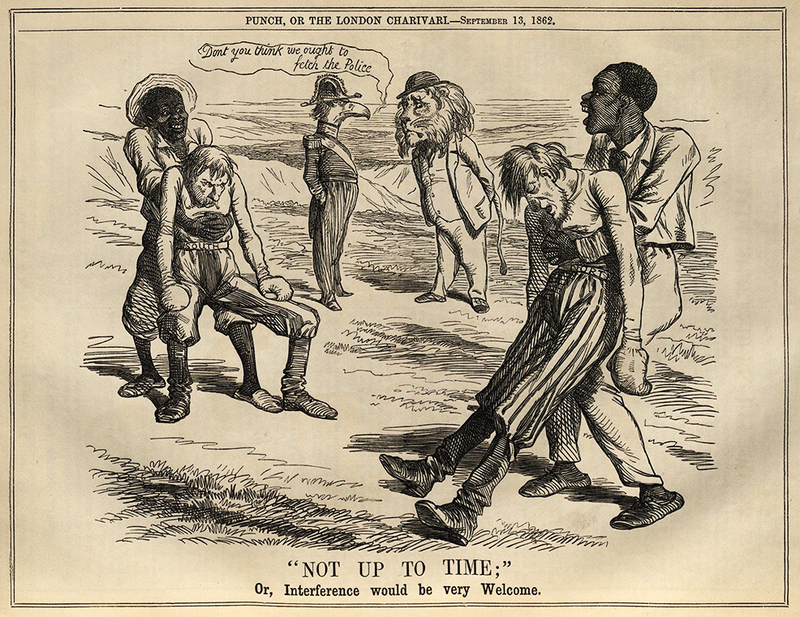 The Irish Potato Famine also figured prominently in Punch, though perhaps not as one might expect. 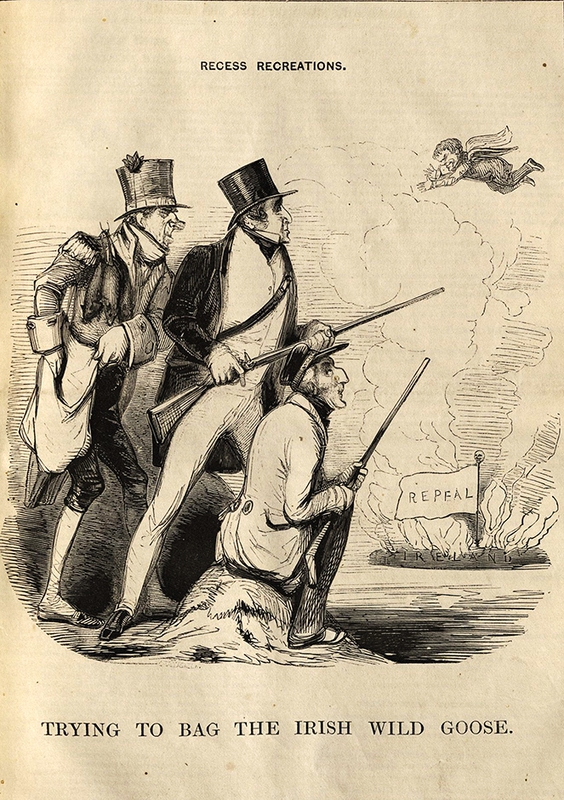 The magazine, based in distant London and written largely for a non-Irish audience, took a hard line against the starving Irish. 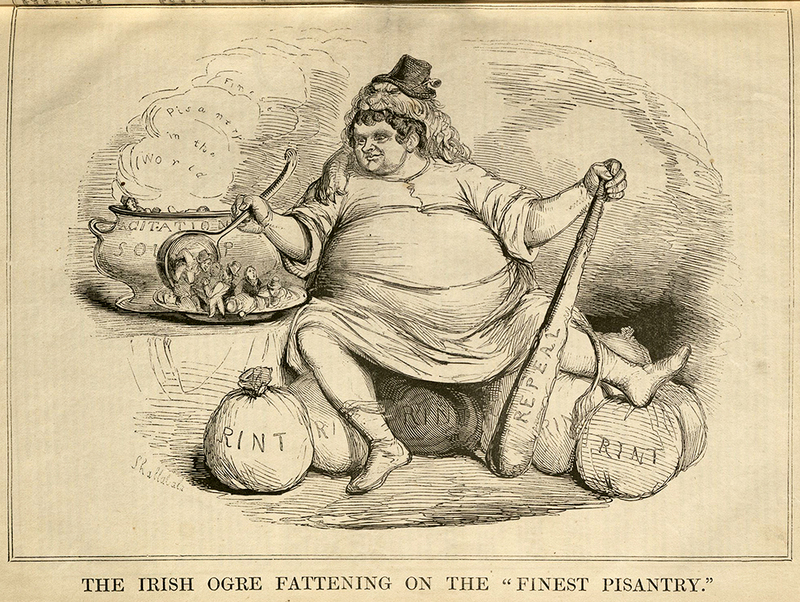 Political cartoons on the subject often included offensive caricatures of struggling Irish farmers and their families, portraying them as greedy and unwilling to pay their taxes. 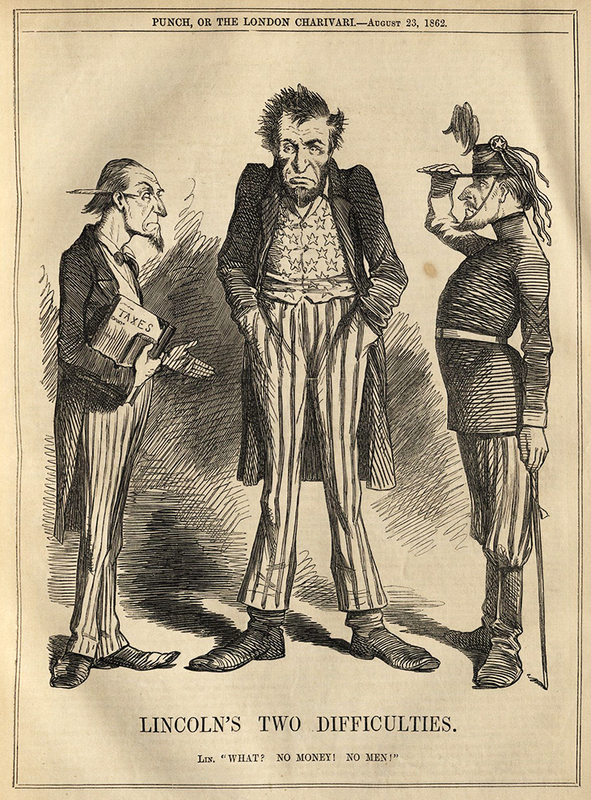 The artists at Punch also satirized events and people in the United States. 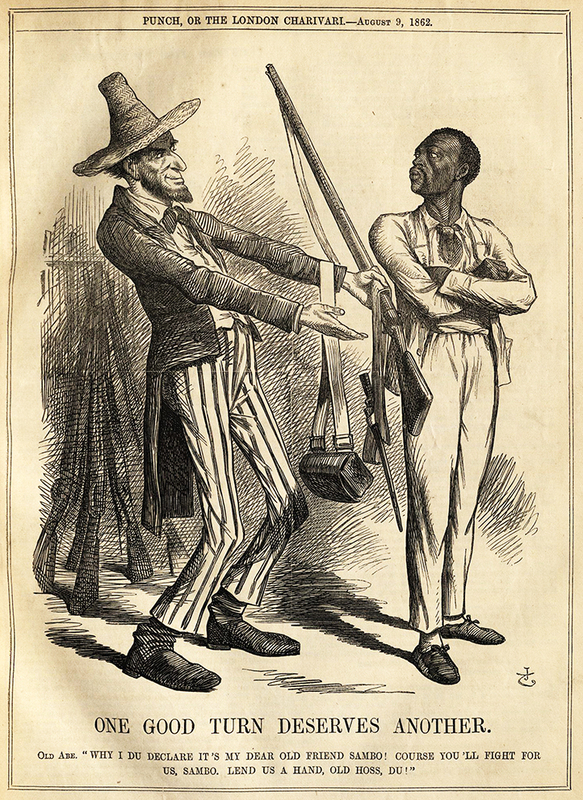 The US Civil War was a popular cartoon subject in the publication, which often featured caricatured images of a struggling Abe Lincoln, sometimes interacting directly with African Americans. 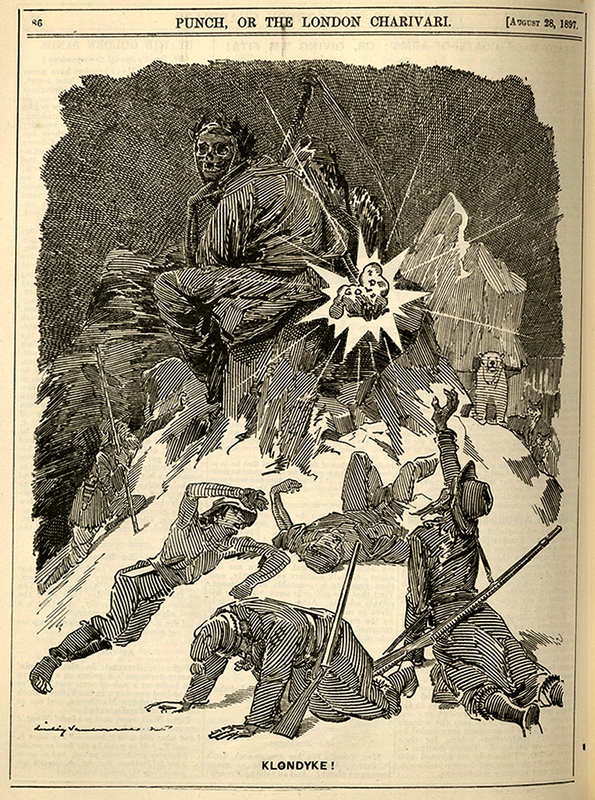 The late-19th-century Klondike gold rush was featured in a harsh light, as was Tammany Hall, New York's famously corrupt 19th-century political machine. 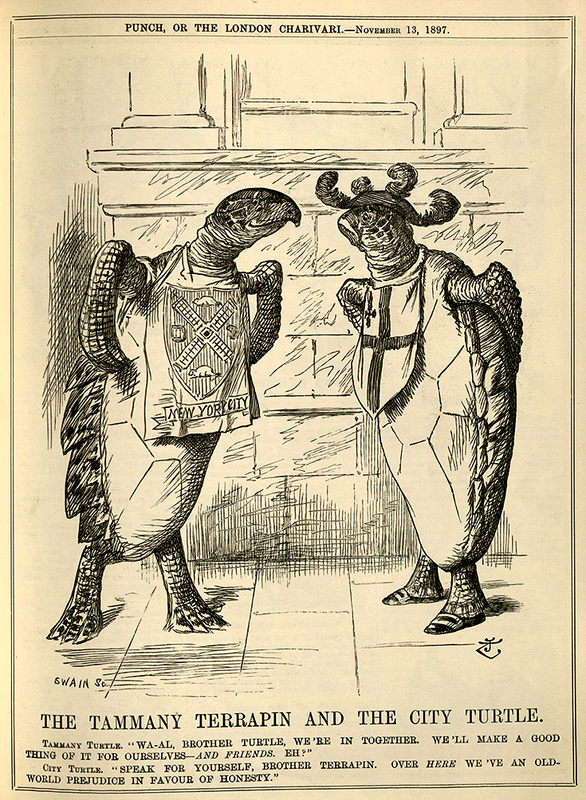 The pages of Punch also poked fun at changing social trends, especially the shifting roles and behaviors of women. 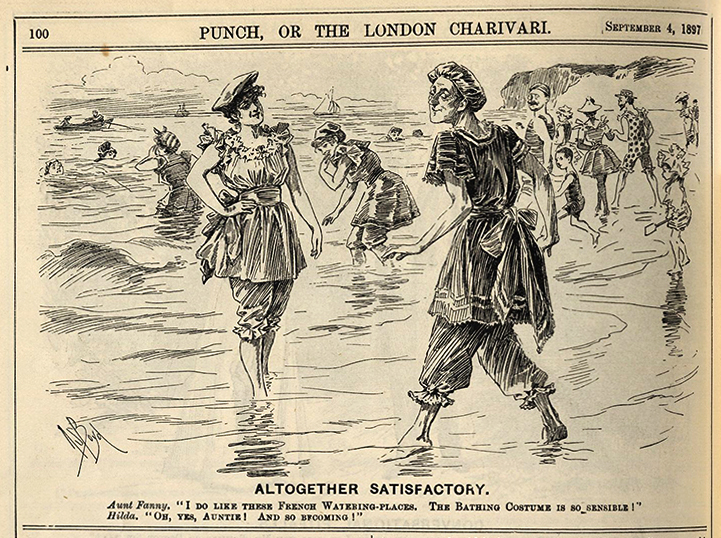 Cartoons featured women wearing pants, bathing at the beach, and engaging in physical activities like riding bicycles. 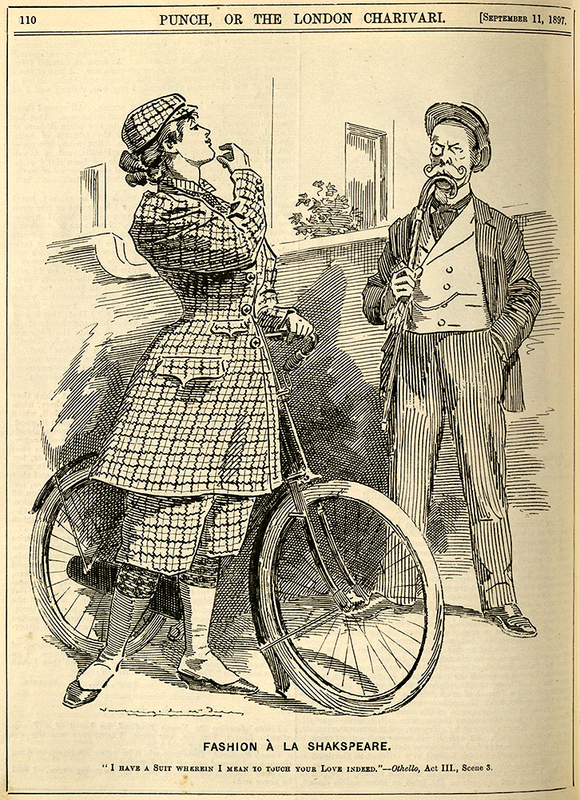 They often juxtaposed a young woman with a man or a woman from an older generation, who were alternately surprised or made uncomfortable by these new behaviors. 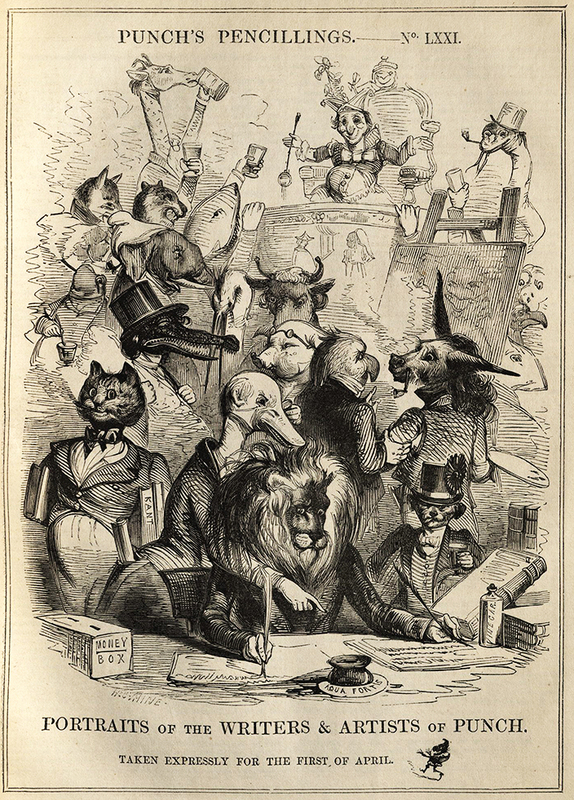 Finally, the artists and authors of Punch also occasionally satirized themselves, as when they depicted the staff of the magazine as a menagerie of animals for the April Fool's issue in 1843.